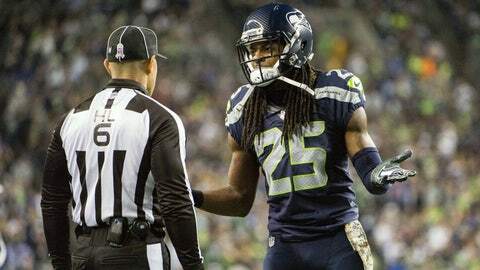 The Seattle Seahawks' relationship with Richard Sherman turned testy at times last season, and GM John Schneider has acknowledged that he listened to offers for the Pro Bowl cornerback. 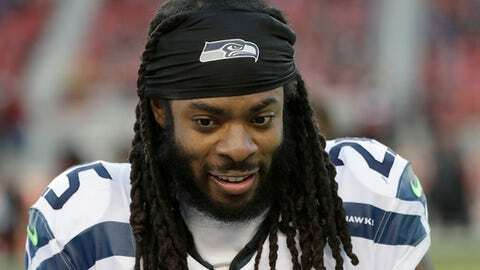 That doesn't mean a deal will be done — Sherman's brother thinks Seattle is just trying to light a fire under him — but the Seahawks saying they were open to offers has sparked serious speculation about how close this team is to imploding. 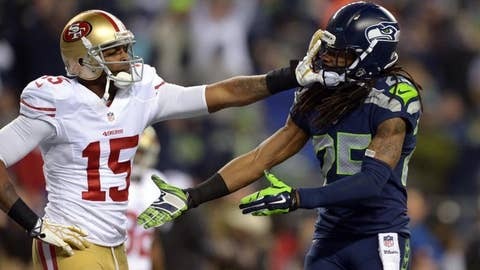 However, the fact that the Seahawks would consider shipping Sherman is slightly crazy for several reasons. All you have to do is take a look at the numbers and you'll be asking Schneider, "You mad, bro?" Sherman is allowing a 48.0 completion percentage and 50.3 passer rating since entering the league in 2011 — both best in the NFL in that span — according to NFL Research. He's defensed 92 passes and has 30 interceptions — both of which lead the league, and 10 interceptions more than the next best player. Sherman has allowed 16 career touchdowns, according to FS1's research staff, including just one in 12 playoff games. Patrick Peterson, another elite cornerback selected in the first round of the same 2011 draft Sherman was taken in, has allowed 25 in his career. 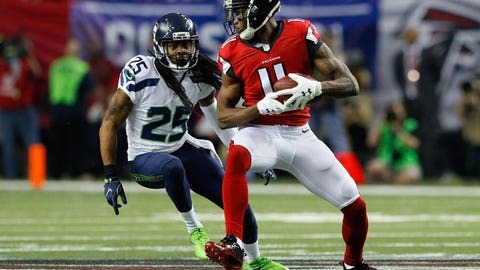 Credit goes to the Legion of Boom, including Earl Thomas and Kam Chancellor, but Sherman plays a big part in that group. Sherman is allowing a 46.1 completion percentage and 49.5 passer rating in the playoffs — both best in the NFL in this span, according to FS1's research staff. Here's a reminder about who he's gone up against in the playoffs: Julio Jones, Demaryius Thomas, Jordy Nelson and Julian Edelman, among others. 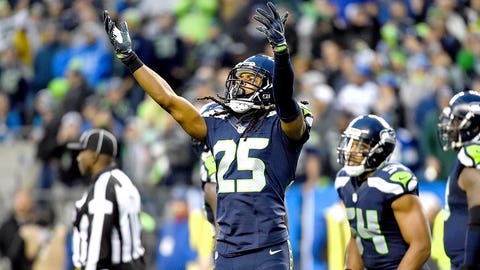 If the Seahawks want to compete for a Super Bowl title right now, trading Sherman probably would set them back. And that would be just another bit of good news for the New England Patriots — especially if they're the ones who get him.